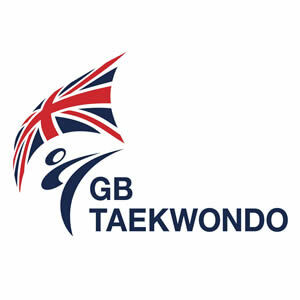 The role of the GB Taekwondo Board is to oversee the strategic direction of the organisation and specifically the programmes it delivers for the sport of Taekwondo, namely the World Class Performance, Development and Major Events programmes. The Board also oversees overall governance for GB Taekwondo and compliance with UK regulations. The Board meets at least 4 times a year and has a timetable of business in place to ensure that key items are discussed, planned and approved at the appropriate time in the year and are carried out in line with the strategic plan. Key items include the strategic plan, operations, performance, commercial, events, corporate governance, Board appraisals, finance and company policies. These key items are required by UK Sport and Sport England, and in some cases by company law. GB Taekwondo’s Board was restructured in 2010 and comprises of members with an appropriate range of skills (as set out in the Board skills matrix) to run the business on a day to day basis and to deliver its strategic objectives. the Voluntary Code of Good Governance for the Sport and Recreation Sector; the agreement in place between GB Taekwondo and British Taekwondo. the roles, duties and responsibilities of the Board and individual Directors. The Chair will ensure that the Board are able to plan their activities with knowledge of the achievements, abilities, strengths, and limitations of current directors, staff, and volunteers. Members hold office subject to The Articles of Association of GB Taekwondo. GB Taekwondo recognizes the value of having a diverse Board and is committed to progressing towards greater diversity within Board and leadership positions. GB Taekwondo works to foster all aspects of diversity within its leadership and decision making. We are currently drafting a diversity action plan. When complete, this plan will be available on our website within one week of approval, subject to continued compliance with the Governance Code. To view the Company’s Articles of Association, please click here.